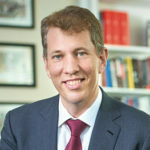 Trevor Morrison is currently the Dean and Eric M. and Laurie B. Roth Professor of Law at New York University School of Law, and a Faculty Director of the Reiss Center on Law and Security. He was previously the Liviu Librescu Professor of Law at Columbia Law School, where he was also faculty co-director of the Center for Constitutional Governance and faculty co-chair of the Hertog Program on Law and National Security. Before that, he was on the faculty of Cornell Law School. Dean Morrison spent 2009 in the White House, where he served as associate counsel to President Barack Obama. Drawing on both his scholarship and work experience, he has developed particular renown for his expertise in constitutional law as practiced in the executive branch. Dean Morrison’s research and teaching interests are in constitutional law (especially separation of powers and federalism), federal courts, and the law of the executive branch. His scholarship has appeared in the Harvard Law Review, the Yale Law Journal, the Columbia Law Review, the Michigan Law Review, the Cornell Law Review, and the Journal of Empirical Legal Studies, among others. Before entering academia, he was a law clerk to Judge Betty B. Fletcher of the U.S. Court of Appeals for the Ninth Circuit (1998-99) and to Justice Ruth Bader Ginsburg of the U.S. Supreme Court (2002-03). Between those clerkships, he was a Bristow Fellow in the U.S. Justice Department’s Office of the Solicitor General (1999-2000), an attorney-advisor in the Justice Department’s Office of Legal Counsel (2000-01), and an associate at Wilmer, Cutler & Pickering (now WilmerHale) (2001-02). Dean Morrison received a B.A. (hons.) in history from the University of British Columbia in 1994, and a J.D. from Columbia Law School in 1998. He was also a Richard Hofstadter Fellow in History at Columbia University. Dean Morrison is a Fellow of the American Academy of Arts and Sciences and a member of the American Law Institute, the Council on Foreign Relations, and the U.S. State Department’s Advisory Committee on International Law. In 2016, President Obama appointed him as chairperson of the Public Interest Declassification Board.